When learning how to fold origami flowers, you’ll definitely want to add the kusudama flower to your list of projects. This pretty flower is relatively simple to fold, but sure to impress all of your friends. Many novice paper folders make the mistake of assuming kusudama refers to a specific species of flower. The Japanese word “kusudama” can be translated as “medicine ball.” Kusudama origami is origami made of several identically folded units that are glued together or sewn together to make a spherical shape. Kusudama is often considered a precursor to the modern genre of modular origami. 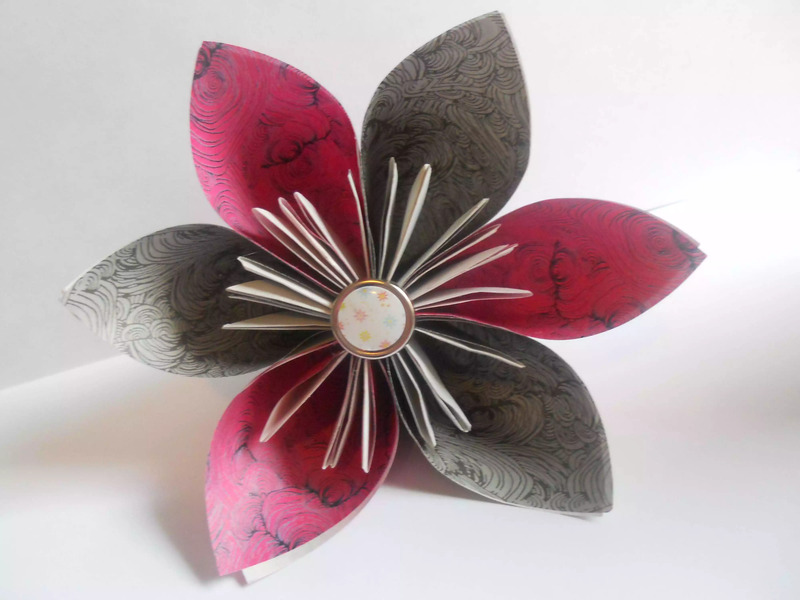 In a kusudama flower, each sheet of paper is folded to form one petal. Then all of the petals are glued together. Children ages six and up should be able to fold the kusudama petal with a bit of practice, but will likely require adult assistance to make the completed flower. 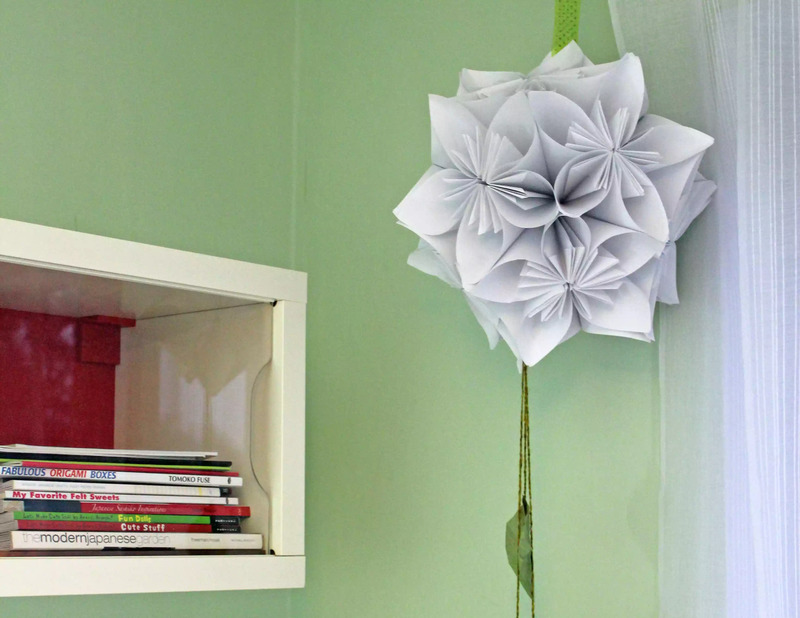 The kusudama flower is made with six separate sheets of square paper. You can use origami paper, scrapbook paper, or calendar papers cut to the size you wish. Bigger paper results in bigger petals, which gives you a more dramatic looking flower. Mix and match patterns for an artistic effect or make all of the petals the same solid color if you want your flower to look as realistic as possible. If you’re folding this model with a child, use large 6-inch by 6-inch squares to make the project easiest for tiny hands to work with. You can also make a kusudama flower with money. Place the paper in front of you with the back side facing up. 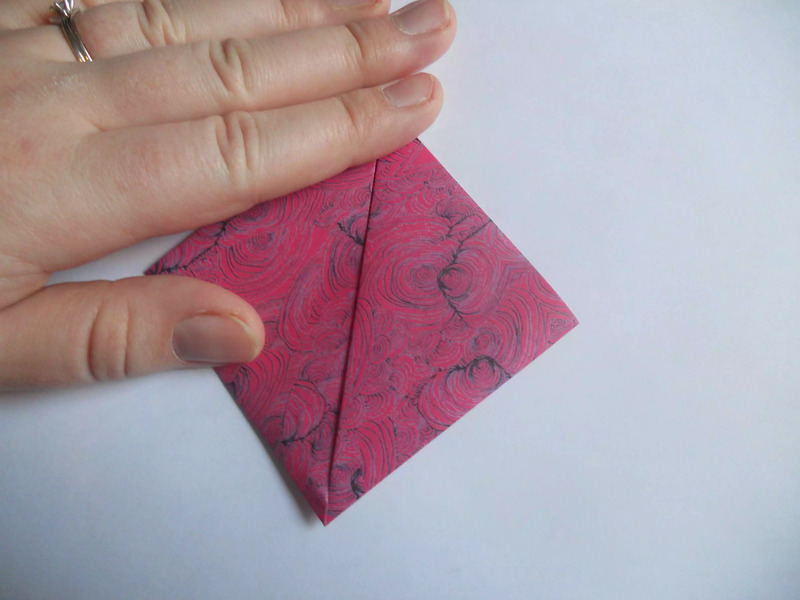 Fold it diagonally to make a triangle. 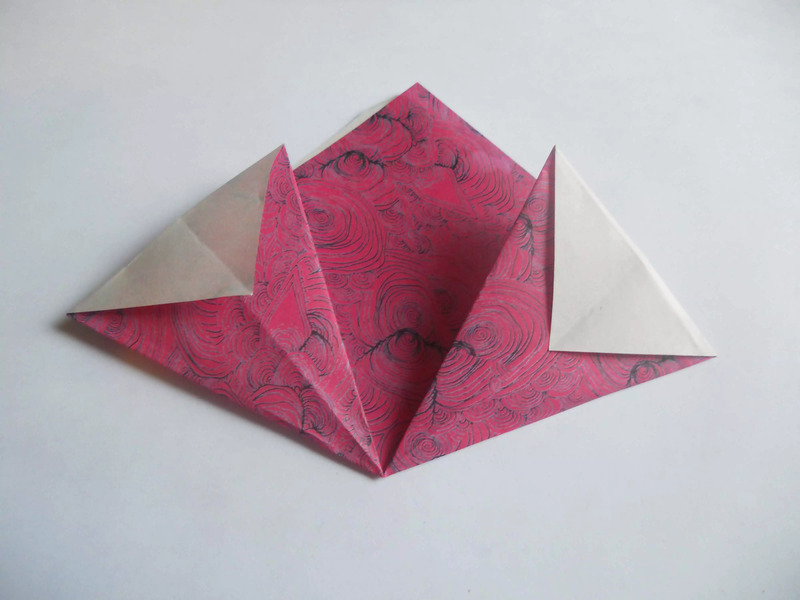 In origami, this is sometimes called a shawl fold, diaper fold, or triangle fold. It is a simple base that is used to develop many different types of projects. Fold the left and right corners up to the middle to make a square. Remember to make crisp folds to ensure the nicest looking origami kusudama flower. When you’re finished, your project should look like the photo to the left. In origami, this shape is called a helmet base. Fold the left and right corners down to meet the edge of the paper so your paper looks like the project shown to the left. Flatten the flaps you created in the previous step. 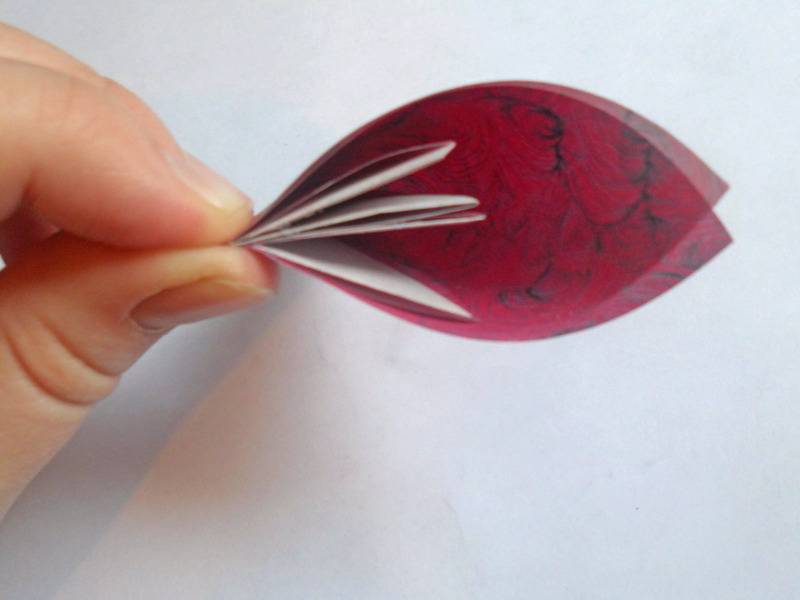 In origami, this is called a squash fold. 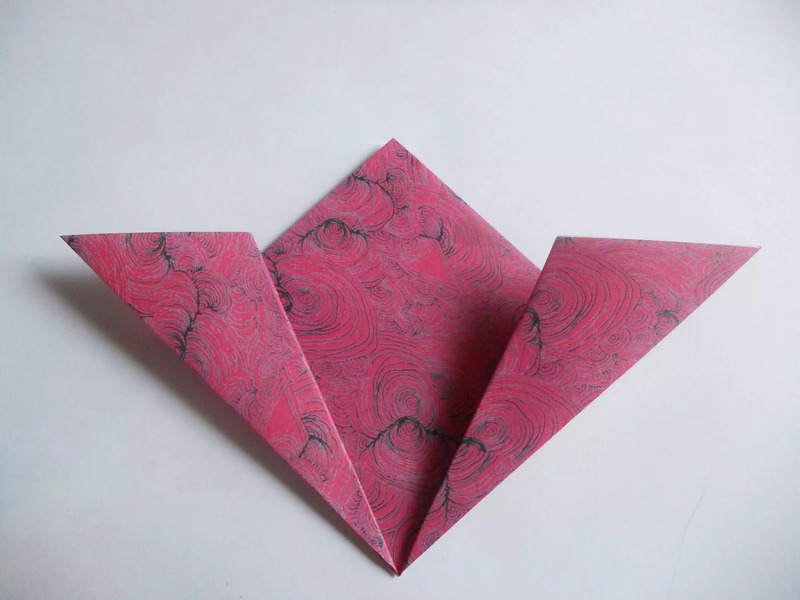 Flattening without wrinkling the paper takes a bit of practice, but the squash fold is one of the most important origami folds to know. It is used in everything from origami flowers to origami cards. 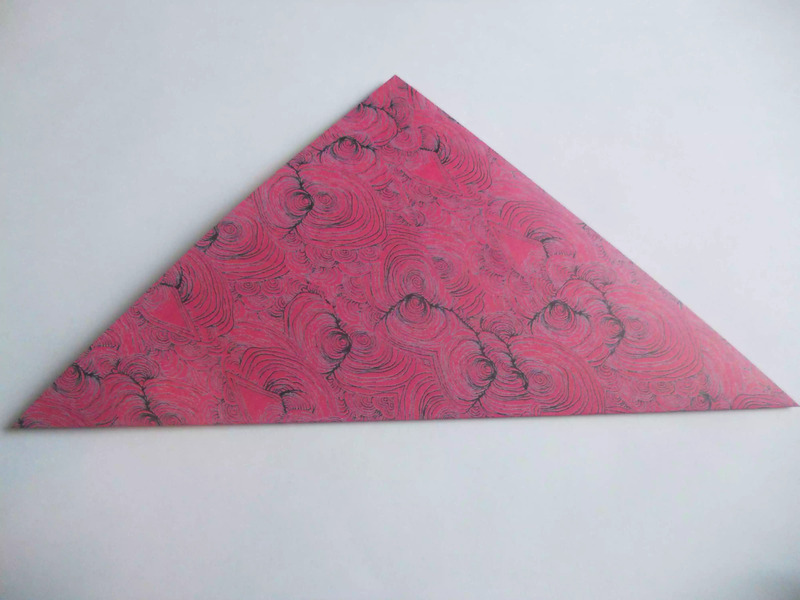 Fold the top triangles down so your project looks like the photo to the left. Fold the left corner in so it meets the first side crease. Repeat with the right corner. Carefully glue your flower petal together. Repeat until you have a total of six flower petals. Compare the flower petals when you are finished to make sure they are all exactly the same size and shape. Glue the petals together to form your kusudama origami flower. For best results, use a glue stick or liquid craft glue and let each connection dry before continuing. If you’re having trouble, use paper clips on the middle of the petals to hold the flower together until all the glue is dry. If you’d like to add a little extra embellishment to your kusudama flower, consider attaching a button, scrapbook brad, or rhinestone to the center. If you make a wire loop and thread your button through, you can use the excess wire to attach your flower to the bow on a beautifully wrapped package. If desired, you can fold 12 of the flowers and glue them together to make one large origami kusudama ​ball. 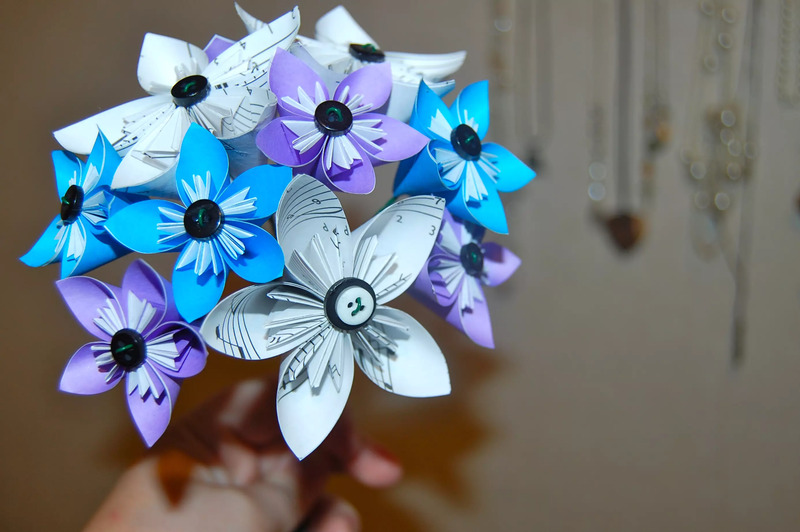 A single origami kusudama flower is pretty on its own, but kusudama flowers can also be added to origami bouquets to create pretty flower arrangements for weddings and other special occasions.